9″ Pulgasari Vinyl Figure from Marmit! 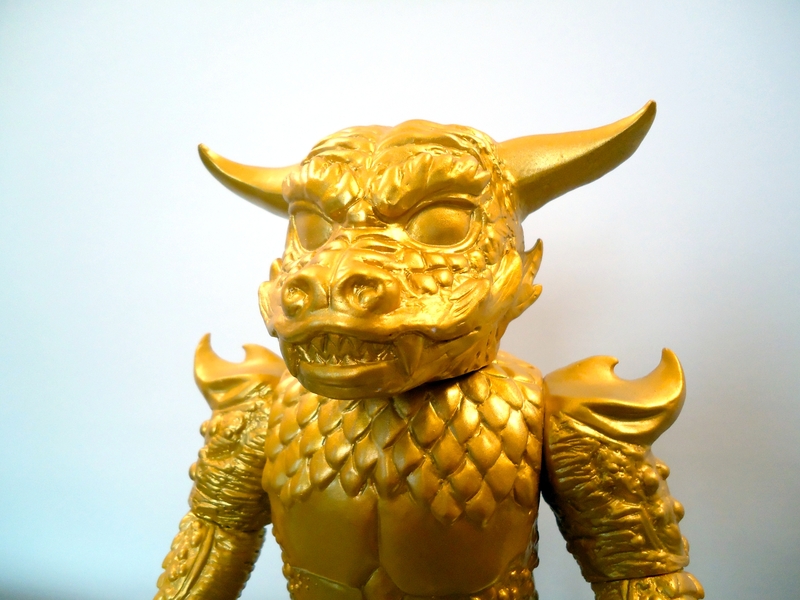 (Gold Edition) | The Kaiju Fan Marketplace! Pulgasari is one of the more obscure movie monsters that ever arrived in the kaiju scene. Pulgasari is a Korean movie that was produced in 1985. He reminds me a lot of King Caesar in a lot of ways, except with horns in place of ear like Caesar. He very much resembles a Minotaur. There is little to no wear on this figure, and he’s always been kept within a glass cabinet or case. There were 2 versions of this figure. The standard release and the gold edition. Let me know if you have any other questions!